Willkommen in der rhythmischen Welt der Globalisierung. Dancing to a Different Tune ist eine Sammlung von Interviews, Artikel und Kritiken, die ein einzigartiges Porträt der interkulturellen Welt bietet. Es erzählt auch persönliche Geschichten der Gründer dieses neuen Feldes der Sozialwissenschaften. Kurz, Dancing to a Different Tune vermittelt den Herzschlag-Rhythmus interkultureller Erfahrungen. Die Lektüre lohnt sich. For some years now, Patrick Schmidt, once president of SIETAR Europa, has extended his commitment by editing our regularly appearing organizational newsletter, the SIETAR Journal. This newsletter generally features a topic of intercultural significance, sometimes dealt with from several perspectives, along with an interview of a notable contributor to the intercultural field, reviews of important new literature, and a listing of upcoming noteworthy events and resources. In Dancing to a Different Tune, Patrick has woven an anthology of pieces, threads from the newsletter issues that he himself has written, into the general framework mentioned above, and sought the collaboration of SIETAR Europa to bring it out in book form. In all, it gives us perspective on how we as individuals and as an organization are dealing with the intercultural challenges of everyday life as well as difficult assignments in an increasingly globalized world. The book has four principal sections. The first deals with the topic of intercultural sensitivity; the second addresses the cultural concerns of business; the third and most diverse, quite specifically and graphically examines the impact of various cultural differences as part of the search for cultural competence; finally, the fourth offer’s a potpourri of Patrick’s reviews of and commentaries about print and other media. Perhaps the most pleasing feature of the book is that it preserves the liveliness of the SIETAR Europa newsletter itself, with user-friendly layout and copious pictures in both color and black and white. I believe that this is an important step, given that we are seeing more and more of it in today's print publications. “Readership” is no longer satisfied with line after line of text, no matter its quality. Further, there are things the text cannot do that images will. We have been long used to the fact that a “figure” inserted into a text might serve to explain the text a bit; today the weight is often on the other foot — the text does its best to reflect what is contained in a salient image. So perhaps, we are invited, nay, compelled to think graphically, particularly at a time when media enable action, interaction, and speak to us with their own voice, bear their own message and engage us in multi-sensorial experiences. This book then furnishes us not simply with intriguing views, interviews and reviews, but it challenges us with one small preview of at least the visual direction in which we need to go on a regular basis if we expect to be effective educators and communicators today. So, congratulations and thanks to Patrick, not just for this publication, but for the extensive contributions he has made to our SIETAR Journal, which provided the material for this release, a tribute to his work for SIETAR Europa. This book manages to be simultaneously a biography of the Mother and Fathers of intercultural thought and development, a resource list for the developing intercultural trainer and a revealing biography of the author himself. Quite an achievement in only 184 highly readable and accessible pages. The book represents a collection of written pieces first published in the SIETAR Europa Journal over the last 6 or so years. It includes interviews with the great and the good in the world of culture, articles that show culture in action in business (company mergers and in multicultural teams) and on land (across boarders and in regions over time.) The book concludes with 10 intercultural book reviews. This tome takes an archeological approach, scraping away the years and asking 2 core questions – Where does culture come from? And where do the subjects of the book derive their love, passion and curiosity for the subject? Patrick later subjects himself to the same questions and comes up with valuable insights and a worrying trend. The common thread connecting all the participants is experience; of travel, war, shock, clash, of not understanding and of being immersed in alien worlds. Revolving around the star of the show — Dr. Milton Bennett, the interviews and articles expand upon the concepts of empathy, ethnorelativity, dilemma reconciliation and the role of history, geography and religion in forming the cultural norms of countries such as USA, German, Austria and France. The project of interviewing a list of secret heroes also reveals a dark cloud floating ominously above the intercultural community. The author does not shy away from asking the tough questions about the purpose and effectiveness of Intercultural training, SIETAR and its commercial impact. At one point, if you are skimming through the pages, you may feel that Patrick is actually in the room with The President of the United States — something to look out for. Accompanying the reader’s journey through the hall of intercultural fame is a dance of the seven veils in which Patrick Schmidt, through his choice of participants, his choice of polemic and his choice of references, reveals both his fluency in the concepts and a pedagogical depth not normally associated with a trainer or visiting lecturer. An additional bonus for SIETAR members, both old and not so old, is the chance to gain a new perspective on the key influencers we think we know. Patrick, in his interviews gently teases out the context in which the main players in the field found their inspiration for breakthroughs and discoveries. 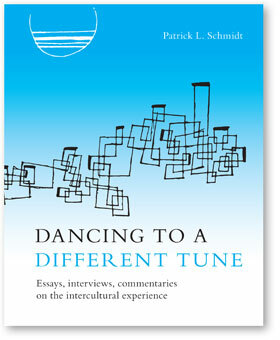 This book represents an honest chronicle of the SIETAR movement, the intercultural field and of Patrick Schmidt himself. A worthy and useful read. Dieses Buch wendet sich an alle, die mit anderen Kulturen umzugehen versuchen. Jedes Land hat seinen eigenen Weg, Dinge wahrzunehmen und umzusetzen, basierend auf unbewussten Voraussetzungen, was eine Kommunikation erschwert. In einfachen und visuellen Stil, konzipiert für das Selbststudium, bietet In Search of Intercultural Understanding neue Einsichten und Ratschläge, wie man mit der ausländischen Erfahrung im Ausland erfolgreich fertig wird und gleichzeitig interkulturelle Kompetenz erwerben kann. Why another book on the boilerplate we are all aware of and many of us use on a regular basis? Probably because unlike so many of the books in the field, the author has written for the average person, often an ESL reader who hasn’t a clue and needs a few. The quality of writing, illustration and exercises are indeed for beginners — simple enough to provide a high school textbook for a course on learning about cultures that would be a teacher’s delight. In fact I would recommend it as such. The stories used to demonstrate cultural lessons are simple, clear and impactful. There is of course the inevitable level of abstraction found in the classical models of Hall and Hofstede that form the basis of intercultural knowledge, however until newly developing methods of dealing with difference become more widespread, there is a certain comfort for Western minds to have simple models into which to sort and examine their experiences, as long as they are clearly warned that the menu is not the meal and that cultural categories are tools for exploration rather than invitations to stereotyping and classification of others. In other words, slotting difference into makeshift categories can be a useful and functional stage as one moves to deeper firsthand understanding and the development of empathy and real connections within cultural realities. Taking a constructivist approach in understanding and behavior is a practical step particularly where cultural realities are fixed and taken as absolutes. The book addresses the nature of culture, of communication in the intercultural context, and proposes simple strategies and tools for overcoming the blocks and barriers experienced when working across cultures. It looks at best practices as developed and used by those who have succeeded in the political, economic and educational spheres. The study of cultures is of course endless. We can never know it all, but are lucky to know enough to carry us through challenging situations, and for that this book provides a good road map. With this map, one can then look at the “tour guides” that provide us with the endless variety of cultural destinations, the behaviors and meanings that we are likely to encounter in our travels, whether trekking the corners of the globe or surfing the corners of the Net. To say that this book is simple and accessible perhaps belies the perspective or overview that it gives on the intercultural field. It at least introduces history and art as resources for illustrating and comprehending difference, which puts it far ahead of much intercultural literature. The only significant failing in completeness is the fact that religion is not really dealt with despite the fact that it is at the apex of cultural conflict in our times. The illustrations and their use are excellent, though one has the sense of walking through the Rijksmuseum or other classical western collection along with panels of caricatures (usually found in the basement). One would like to see a wider world represented, particularly if accompanied by articulate glosses as the author manages to provide for the great number of the images found in the book. In sum, the book is “culture easy,” however, not “culture lite.” Hopefully those who now have create a foundation of understanding from this user friendly handbook will be strongly moved to develop the curiosity and empathy, so needed in a world where we are spending more money on walls and fences than on dialogue across cultures. 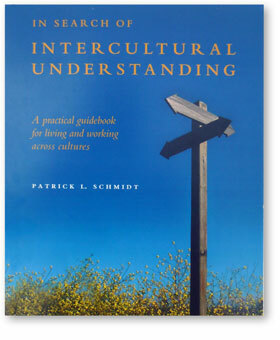 Patrick Schmidt has set himself an ambitious goal of conveying the essence of intercultural theory and best practice to the “average” person. Additionally he offers to throw in, at no extra charge, details of American, German and Chinese culture. He knows that this will have to condense and present the work of the fathers of culture — Hofstede, Hall and Bennett. His succinct summary and explanation of Hofstede’s original dimensions of difference is to the point and refreshing. It is delivered in a way suitable both for the novice and as a reminder for the seasoned academic or professional who has perhaps deviated from the original message. Schmidt gives us welcome contrast, from high culture to real business and political episodes adding visual reinforcement of the key learning points in the form of paintings, engravings, photographs and cartoons. Perhaps for the first time we have an accessible book than informs and entertains while it propels the reader from unconscious incompetence to conscious intercultural competence in less than 150 pages. Quizzes are placed at the end of the chapters to embed learning, measure progress and stimulate thought. With at least 5 fonts, plenty of white space, images and scattered quotes in text boxes, the book distances itself from academic papers or single theory books. It positions itself as a tool for the dilettante, the busy professional or the culturally curious. Schmidt is not afraid to talk of language and grammar limiting perception and these, with non-verbal behaviour, shaping tribal values and norms. He pays particular attention to the Ethnocentric / Ethnorelative shift of his own cultural father — Milton Bennett. I venture to say his light and approachable style may take the professional cynic from "denial" to "acceptance" in six pages. This is not simply a positivist book of do's & don'ts. It does raise awareness and promote a relativist's informed sympathy. However an emphasis on context, active listening and cultural bridging may begin a life's journey taking the reader toward the constructivist's empathy that is so often missing in international business. What shines through is Schmidt's wide reading, his passion for collecting stories that illustrate cultural truths and his commitment to reducing theory, jargon and stereotyping to sound principles for cultural understanding. Schmidt shares with us his personal pointers for building global teams, developing personal cultural skills and becoming better international negotiators. All reviews must answer the question “Who should read this book?” Answer — Master’s students and their teachers, HR managers and CEO's. Also the international business professionals and the curious academics that wish to have other facets of culture revealed to them. In conclusion Patrick Schmidt has achieved his ambitious goal of articulating the field of culture for the average reader. In an accessible, provoking and subtly witty way he affects the reader who will ask questions of his or her conditioning, country and corporate context and personal perception. Das Handbuch von Patrick Schmidt Die amerikanische und die deutsche Wirtschaftskultur im Vergleich, jetzt in seiner fünften Auflage, regt zum besseren Verständnis beider Seiten dieser immer wichtigeren Handels-Partnerschaft an. 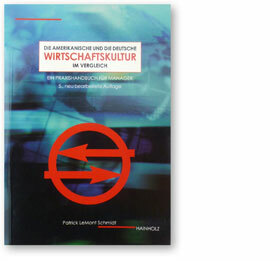 Das Buch – wie auch seine englische Fassung Understanding American and German Business Cultures – ist ein Standardwerk für amerikanische und deutsche Firmen sowie Universitäten geworden. Dieses Handbuch für Manager vergleicht die deutsche mit der amerikanischen Kultur und stellt die Konsequenzen für das interkulturelle Management dar. Durch den direkten Vergleich und durch die Diskussion von Fallbeispielen wird der Leser in die Lage versetzt, sofort zu erfassen, wo die Unterschiede zwischen der deutschen und der amerikanischen Geschäftskultur liegen. In sieben Kapiteln behandelt das Buch die folgenden Bereiche: Kulturtheorie, die Psychologie der beiden Nationen, die Einstellung zum Geschäftsleben, der Ablauf von Geschäftstreffen, Sprache und Kommunikation, Geschäftsethos und Rechtssystem. Es schließt mit den Folgerungen, wie ein interkulturell kompetenter Manager aussehen muss. Fallbeispiele sowohl aus den USA als auch aus Deutschland erleichtern den Einstieg. Endlich ein Buch, das die besonderen Probleme der deutsch-amerikanischen Wirtschaftsbeziehungen anspricht – und wirklich versteht. Grundlegende Informationen … mit vielen anschaulichen Beispielen … jedes Kapitel bietet eine besondere und anregende Perspektive dieser wichtigen interkulturellen Partnerschaft..
Ein bemerkenswerter und tiefgründiger Leitfaden für den ersten Überblick. Ein Buch, das jeder, der in deutsch-amerikanischen Wirtschaftsbeziehungen aktiv ist, lesen sollte. German and American companies are increasingly forming partnerships and cooperating in their respective markets. The recent mergers of Daimler and Chrysler as well as Bankers Trust and Deutsche Bank quite obviously represent the most spectacular developments in this regard. Especially in the wake of alliances of this magnitude, the so-called “soft factors” can often play a decisive role in determining the success or failure of the venture. Recent studies have shown that when cultural, organizational and people issues are not properly resolved, mergers often fail, and big ones fail more often — over 70% of the time. The key to addressing potential cultural clashes between German and American companies is to understand the cultural context in which businesses from these countries operate. 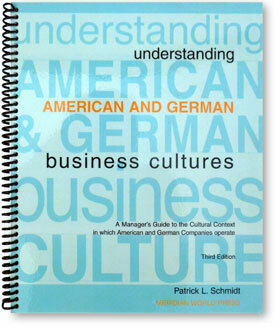 Understanding American and German Business Cultures provides excellent practical information in this regard. Drawing on extensive secondary literature and over 25 years of personal experience in cross-cultural training, the author Patrick Schmidt reveals the unexamined rules and “hidden logic” by which American and German business organizations and individuals work. Based on detailed social, cultural and organizational research, Schmidt shapes a stimulating and provocative read that accurately describes the characteristics and practices of Americans and Germans. In contrast to other publications that cover only the cultural aspect of one country, this compact volume offers new insights and practical advice by using the comparative method. When contrasting work ethics, for example, it becomes clear that German employees tend to be task oriented and consequently at times perfectionists, whereas American employees tend to be result oriented and thereby occasionally opt for speed over detail. By comparing different values and attitudes, the reader is able to precisely grasp where cultural differences lie and at the same time become conscious of his or her own national uniqueness. The last point is the premise of the book — understanding the particularities of your own culture and your own “mental software” is a prerequisite to understanding the ways and habits of other people. Schmidt points out, that the basis of successful international adaptation depends less on learning about a new culture and more on acquiring a better understanding of one’s own background. The many clear and di- rect examples provided by the book succeed in reminding readers how much their work and leisure habits, tastes as well as outlook on life continue to depend on values particular to the culture they experienced during childhood. Only this realization and the consequent awareness of personal “cultural baggage” make it possible to understand thought-patterns of another culture so that, in the end, individuals are able to comprehend “foreign behavior”. This is a book that every person active in German and American business relations should read. Broad in scope, it covers all the important aspects of the German-American partnership-equation: the psychology and characteristics of the two na- tions, the basic business assumptions in both cultures, the styles of meetings, the communication differences, the business ethics and legal framework and a motivating chapter on intercultural competence. Designed as a reference for managers and for used in a seminar setting, the book is profoundly original and informative, but at the same time entertaining to read. Understanding American and German Business Cultures is a unique and essential guide for successfully eliminating the risks that differences in culture can cause for business. Die Deutschen waren enttäuscht von den Managern ihrer US-Tochter. Sie konzentrierten sich nicht auf die Präsentation ihres aus Deutschland angereisten Chefs zur geplanten Fabrikerweiterung. Und in der Diskussion trugen sie nichts zur Analyse und Problemfindung bei, sondern drängten in ihrer “Cowboy-Mentalität” ständig darauf, endlich zur Tat zu schreiten. Typisch amerikanisch eben: Erst schießen, dann fragen! Frust auch auf der amerikanischen Seite: Die Cowboys empfanden die Besprechung als Informations-Overkill – also sagten sie nichts, was die Diskussion in die Länge gezogen hätte. Außerdem waren die Deutschen einfach zu sehr auf die Theorie statt auf Lösungen fixiert – der Plan würde in der Praxis sowieso modifiziert werden müssen. Typisch deutsch eben: Lieber reden als handeln! Mit Beispielen wie diesen macht Patrick LeMont Schmidt in seinem Buch „Die amerikanische und die deutsche Wirtschaftskultur im Vergleich“ deutlich, dass zwischen den befreundeten Nationen häufig auch heute noch – oder vielleicht heute wieder zunehmend – tiefes Unverständnis herrscht. Der Leitfaden in Schmidts “Praxishandbuch für Manager”: Wenn die Beziehung zweier unterschiedlicher Partner funktionieren soll, muss man etwas dafür tun. Was Geschäftsbeziehungen mit den USA betrifft, nicht unbedingt eine selbstverständliche Einsicht: Denn während kaum jemand ohne kulturelle Vorbereitung nach Japan oder China reisen würde, hält sich heute jeder, der einmal in Disney World, im Yosemite National Park oder in New York war, für einen USA-Fachmann. Schmidt kann auf reichlich eigene Erfahrungen sowie Wurzeln in Alter und Neuer Welt zurückgreifen. Seine Vorfahren kommen aus Hamburg, das sie nach der Revolution von 1848 verlassen mussten, und dem Elsass. Der in den USA geborene und mit einer Französin verheiratete Autor hat in Los Angeles und Strasbourg studiert und lebt seit mehr als 20 Jahren in Deutschland. Der 52-Jährige hat viele Jahre in den USA und bei Mercedes-Benz in Stuttgart als interkultureller Trainer gearbeitet und war Chefredakteur der englischsprachigen Mercedes-Benz-Firmenzeitung. Für ihn bedeutet das Verstehen eines Landes und seiner Menschen, sich seines eigenen Auftretens bewusst zu werden – und es gegebenenfalls zu ändern. Wohl nicht ganz zu Unrecht warnt Schmidt davor, dass dieser Prozess starke Emotionen hervorrufen könne. Einige Abschnitte in seinem Buch lassen den deutschen Leser in der Tat kräftig schlucken, wenn aus amerikanischer Sicht wenig schmeichelhaft die deutsche Förmlichkeit, die oft als belehrend und herablassend empfundene Art, der Hang zum stundenlangen Diskutieren oder die strikte Trennung von Berufs- und Privatleben beschrieben wird. Bei aller Provokation gelingt es Schmidt aber, das Gleichgewicht zu halten. Er beschreibt die Mentalität und ihre historischen Ursprünge beider Länder so, dass man scheinbar merkwürdige oder unhöfliche Handlungen seines transatlantischen Gesprächspartners besser nachvollziehen kann. Und wenn man sich als Leser bei einem Absatz über deutsches Verhalten in einem ungewöhnlichen Anflug von Nationalstolz plötzlich gekränkt fühlt und Schmidt ein “Aber die Amerikaner…” zurufen möchte, hat dieser schon längst ein ähnliches Verhalten bei seinen Landsleuten ausgemacht. Denen bleibt die emotionale Tour de Force nicht erspart: Das Buch ist zuerst in den USA erschienen. Schmidt arbeitet sich von der historischen Entwicklung und theoretischen Modellen über kulturelle und psychologische Betrachtungen bis zu Fallbeispielen mit Themen wie Unterschieden in Kommunikation und Managementstil, die Absurdität des US- Rechtssystem oder die unterschiedlichen Auffassungen von Geschäftsethos vor. Der Umfang der deutschen Übersetzung entspricht mit 140 Seiten dem der übersichtlichen US-Originalausgabe. Es hört jedoch etwas abrupt auf, eine Schlussfolgerung fehlt. Dennoch: Die Lektüre lohnt sich, auch für Fortgeschrittene in Sachen USA. Als Patrick Schmidt vor 25 Jahren seinen kleinen Koffer für eine Kurzvisite in Stuttgart packte, wusste er noch nicht, dass er die folgenden zwei Jahrzehnte dort verbringen würde. In der schwäbischen Metropole fasste er schnell Fuß, unterrichtete zunächst an einer Sprachenschule und wechselte später in die Wirtschaft. In den folgenden Jahren war er fast ausschließlich als Berater für internationale Wirtschaftsbeziehungen und Sprachtrainer bei Daimler-Benz unter Vertrag. Auch als Autor zahlreicher Artikel in verschiedenen Fachmagazinen verschaffte er sich einen Namen. Heute lebt und arbeitet der Amerikaner im kanadischen Montreal. Seine jahrelangen Erfahrungen sind der Grundstein für den fast noch druckfrischen Managerleitfaden Understanding American and German Business Cultures, der im März auch in deutscher Übersetzung auf der Leipziger Buchmesse vorgestellt wird. Was der Autor zusammengetragen hat, ist keine unkritische “Do and Don’t”-Aufzählung, sondern eine sehr ausführliche Bestandsaufnahme zweier komplexer Gesellschaftssysteme, die, mit ihren eigenen Gesetzen und Wertvorstellungen, selbst erfahrene Manager regelmäßig in eine Flut von Missinterpretationen und Kommunikationsstörungen stürzen. Die Folgen können fatal sein. “Interkulturelle Kompetenz” heißt die Zauberformel für die erfolgreiche Flucht aus dem Dilemma. Der Weg hinaus führt über die Kapitel Kultur, Psychologie, Wirtschaft, Ethik, Kommunikation und Recht, in denen die beiden Nationen gegenübergestellt werden. Die Auswertung der abschließenden Fallstudien geben Aufschluss darüber, ob seine Mission erfüllt wurde. Kein Zweifel: Viele Fakten werden den Leser überraschen. Man ertappt sich inmitten eines Klischees und fühlt sich peinlich enttarnt. Einige der Erkenntnisse und Rückschlüsse kleben jedoch teilweise zu sehr an traditionellen Mustern, die heute als überholt gelten und nicht Gegenstand einer “modernen” Bestandsaufnahme sein dürften. Wertewandel und Globalisierung sind die Schlüsselwörter für den Umbruch in der Gesellschaft. Sie werden natürlich erwähnt, hätten aber besser vorangestellt werden sollen. Immerhin repräsentiert der Amerikaner ein buntes, multikulturelles Volk von 280 Millionen Menschen, plus stetiger Zuwanderung aus den unterschiedlichsten Ecken der Erde, und der Deutsche nach dem Fall der Mauer rund 80 Millionen Menschen, die in völlig unterschiedlichen politischen, sozialen und kulturellen Systemen aufgewachsen sind. Vielleicht sind sich sogar der Berliner und der Amerikaner “näher”, als der Hamburger und der Sachse. Hinzu kommt, dass der Prozess der Globalisierung sicherlich kein neues Phänomen an der Schwelle zum dritten Jahrtausend ist, sondern seit langem bereits zum interkulturellen Alltag, zumindest in der jüngeren Generation, gehört. Die technologische Entwicklung sorgt seit Jahren im Eiltempo dafür, dass die Völker “enger zusammenrücken” und mit unterschiedlichen Kulturen konfrontiert werden, die sich fleißig vermischen. Einige der vorgestellten Klischees verwässern auf diese Weise oder existieren nicht mehr. Mit veralteten traditionellen Bildern im Kopf läuft man Gefahr anzuecken, auf beiden Seiten. Daher ist es besser, eine kulturelle Sensibilität zu entwickeln, ohne in verkrusteten Details zu wühlen, Freiräume geben einem die Chance, Neues zu entdecken. So liest sich das Buch besser aus dieser Perspektive und ist besonders für den deutschen Manager mit Blick Richtung U.S.A. ein wertvoller Ratgeber für viele praktische Fragen. Das Buch erläutert Business-Strategien, Verhandlungs- und Motivationstechniken, Rechtsproblematiken und andere schwierige Zonen der internationalen Geschäftswelt. Patrick Schmidts Leitfaden für Manager zielt selbstverständlich auf die Wirtschaft. Allerdings sollte auch der branchenfremde nicht nur einen Blick riskieren. “Wer offen gegenüber anderen Kulturen ist, erfährt eine Menge über sich selbst.” Sein wichtigstes Statement dürfte eine Botschaft an jedermann sein. Das Handbuch von Patrick Schmidt regt zum besseren Verständnis beider Seiten dieser immer wichtigeren Handels-Partnerschaft an. Es wurde zu einem Standardwerk für amerikanische und deutsche Firmen sowie die akademische Lehre. In just seven chapters, this little book effectively zeroes in on the facts, cultural backgrounds and behaviors that both American and German business people need to understand each other. It is an excellent distillation of historical, psychological, business, and of course, cultural information — the book reminded me of the excellent lecture notes (though completely written out in a reader-friendly style) of an ace student of intercultural business communication; it is a compendium of all the information I would like my trainees to remember and take with them — a virtual trainees’ handbook, true to its own subtitle, A Manager’s Guide to the Cultural Context in which American and German Companies operate. Schmidt begins with a culture-general approach, touching on the concept of culture in Chapter 1. Here he introduces the theoretical frameworks of E. T. Hall and Geert Hofstede, which he later uses to highlight the differences between American and German business practices. He swiftly moves to the culture-specific arena in Chapter 2, entitled “The Psychology of Germans and Americans.” This is in no way as glib as it sounds, for Schmidt takes great care to illustrate the historical origins and development of both the German and the American national characters, often drawing on those telltale markers of living culture, traditions and proverbs. Schmidt narrows his focus in Chapter 3, where he discusses the specific cultural differences between the American and the German business worlds. This provides the needed background for his delving into the micro-level of business behavior, which constitutes the remaining chapters, covering such areas as business meetings, corporate (and of course interpersonal) communication, lawsuits and ethics. The book is rounded off by an appendix of cross-cultural case studies (which I feel need considerable fleshing out on the part of the trainer to be usable), and reports on two very useful studies of German-American business interaction: Sylvia Schroll-Machl’s analysis of the process of problem-solving in joint German-American teams, and what I take to be Susanne Zaninelli’s work on German vs. American communication styles. In the business world he compares, among many other examples, German in-house development of managers vs. the American use of “hired guns.” Schmidt also provides a very useful comparison between the concepts of management and of the manager in Germany and the US, itself a source of many misunderstandings.